We’ve compiled a short guide to choosing a strategy for your next conditional knockout (cKO) model which you can download here. 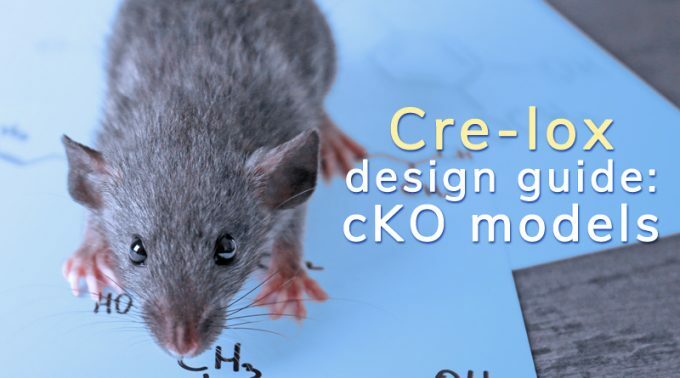 Compared with standard knockout models a cKO has much greater flexibility, for example by enabling tissue-specific knockout of your target gene. As with any genetic modification the right design is crucial and must be carefully evaluated. There’s no one-size-fits-all approach when making new cKO models and our guide can help you evaluate the options for your gene of interest. We also list five rules to follow for designing a successful model. As explained in our guide, a new cKO model must meet two equally important criteria summarized by the words “conditional” and “knockout.” It’s easy to focus on the knockout aspect of a design and only ask “Will this new model inactivate my gene of interest?” An ideal model will meet that requirement while also being truly conditional. That is, the target gene can be inactivated when required but will otherwise function normally. Often it’s more difficult to satisfy the conditional element than the knockout element. A new cKO model usually requires the placement of two small genetic elements, 34bp loxP sequences, within the gene itself and any genetic modification carries the risk of disrupting the wild-type expression pattern of a gene. In this case a misplaced loxP sequence could disrupt a crucial transcription factor binding site or sequence required for proper splicing. After reading our guide you can apply the information to your genes of interest. Then when you’re ready to make a new conditional knockout mouse model you can contact one of our technical specialists to discuss the options for your genes. We look forward to working with you on your next cKO mouse project!